Laboral Kutxa Vitoria Gasteiz took another important step towards the Turkish Airlines Euroleague playoffs by downing Khimki Moscow Region 98-83 in front of over 12,000 fans at Fernando Buesa Arena on Thursday. 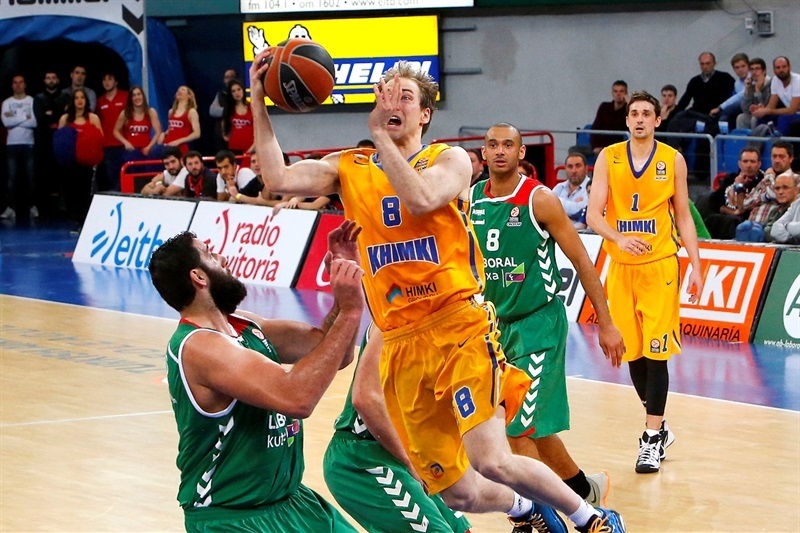 Laboral improved to 7-3 in Group F, while Khimki dropped to 5-5. Ioannis Bourousis posted 16 points, 13 rebounds and 6 assists for his 10th double-double of the season for Laboral, while Darius Adams and Fabien Causeur shined with 17 points apiece. Davis Bertans added 13 points and Adam Hanga 12 for Laboral. 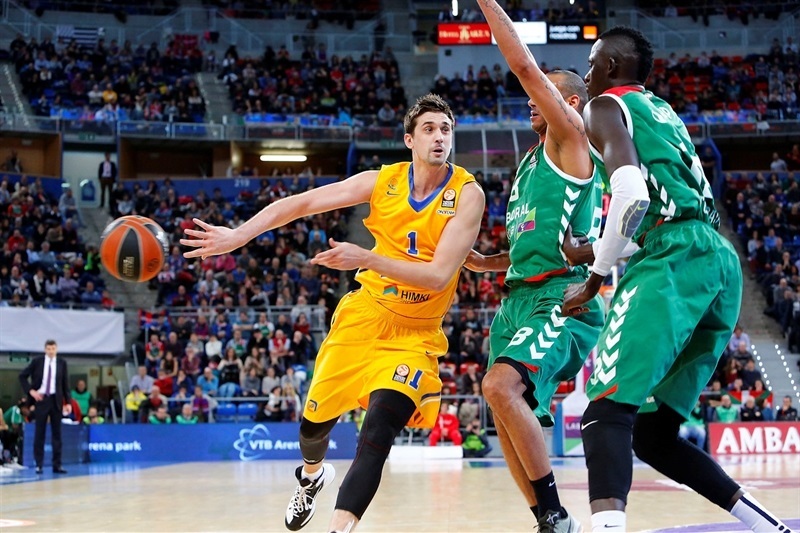 Alexey Shved led Khimki with 19 points and 6 assists. Paul Davis added 18 points, Petteri Koponen 15 and Tyrese Rice dished 10 assists for Khimki, which was without Tyler Honeycutt and James Augustine. Hanga shined early to give Laboral a 7-5 lead. Josh Boone stepped up for Khimki and three-pointers by Shved, Koponen and Egor Vyaltsev gave the guests a 21-24 lead after 10 minutes. Laboral found its regular go-to guy in Bourousis, who got help from Jaka Blazic to help the hosts regain the lead, 38-37. 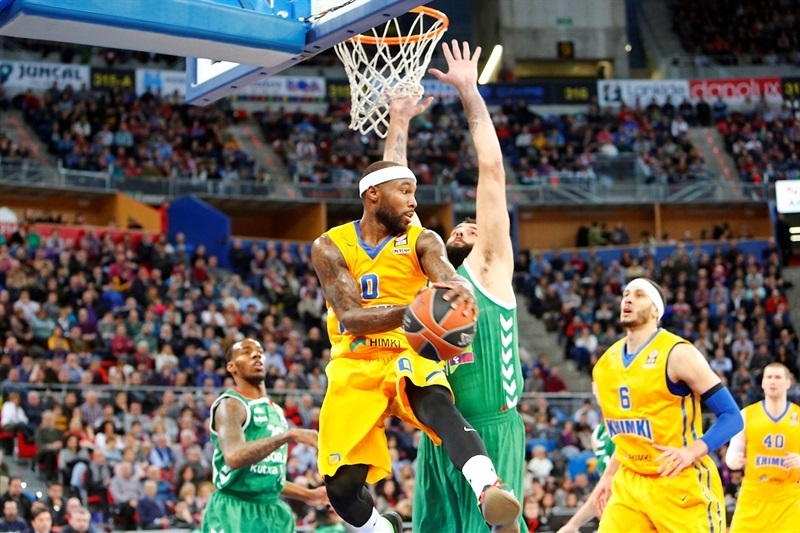 Boone and an unstoppable Davis allowed Khimki to get a 45-46 edge at halftime. Causeur had 12 points in the third quarter and an incredible buzzer-beating triple by Mike James made it a double-digit game through three quarters. Bertans shined at both ends early in the fourth as Laboral boosted its margin to 85-66 and never looked back. Both teams struggled to score early until Hanga took over with a three-point play. 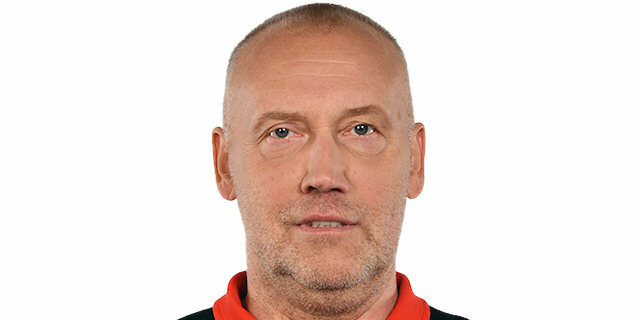 Sergey Monya answered from downtown, but he didn't find much help around. Khimki tried a more athletic lineup with Josh Boone at center. Ilimane Diop and Boone exchanged free throws and an acrobatic basket by Adams restored a 7-5 Laboral lead. Shved struck from downtown to give Khimki its first lead, 7-8. Hanga kept pushing Laboral with a backdoor layup, but back-to-back baskets by Davis put the guests back ahead, 9-12. 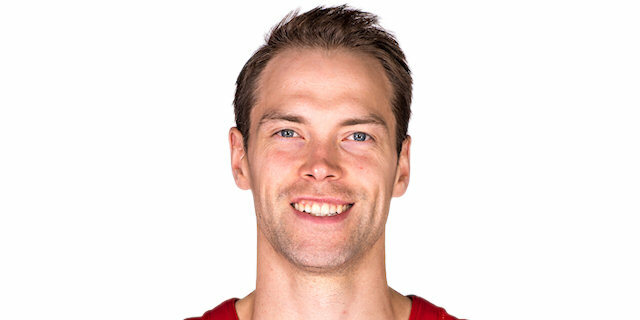 Petteri Koponen buried a three-pointer, but free throws by Hanga brought the hosts within 4. Adams took over with a coast-to-coast layup that Egor Vyaltsev bettered with a bomb from downtown. 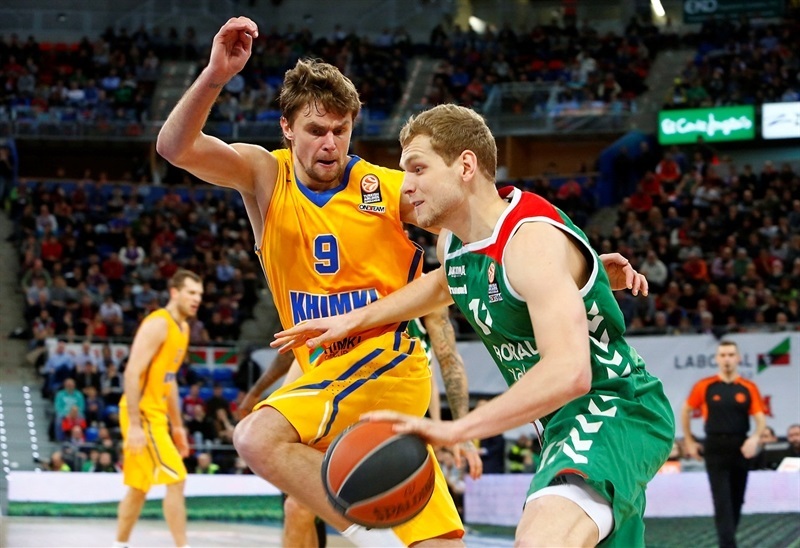 Davis Bertans joined the three-point shootout, but a layup by Boone gave Khimki a 16-20 lead. 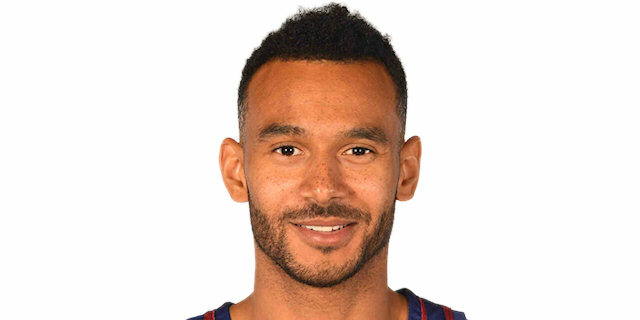 Adams hit a big triple and Adams erased Shved's driving basket with a backdoor layup. Boone scored down low to make it 21-24 after 10 minutes. Bourousis scored around the basket early in the quarter. Davis swished a jump hook and had a huge block, which allowed Zoran Dragic to score at the other end for a 23-28 lead. Hanga ignited Laboral's crowd with a coast-to-coast layup that a red-hot Davis matched with a tip-in. Bourousis hit one from beyond the arc and bettered Davis's layup with another triple that brought the hosts as close as 31-32. Jaka Blazic made free throws, which Dragic erased with a layup. Bertans and Shved traded shots from way downtown and a layup by Blazic put Laboral back ahead, 38-37. 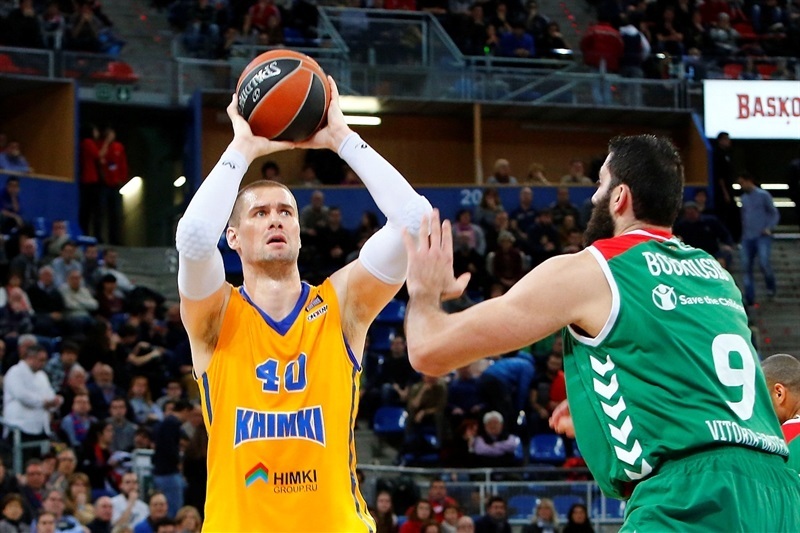 Boone kept pacing Khimki and a layup by Causeur tied it at 40-40. Bourousis hit a turnaround jumper, but Koponen matched it with free throws and a jumper by Tyrese Rice put the guests back in charge, 42-44. Blazic buried a three-pointer, but a layup by Davis fixed the halftime score at 45-46. Shved downed a mid-range jumper right after the break, as Laboral was held scoreless for two minutes. Davis buried his trademark mid-range jumper off the baseline, which Causeur bettered with a three-pointer to make it 48-50. Causeur insisted from downtown and Adams ignited the crowd with a huge dunk that prompted Khimki to call timeout at 53-50, after an 8-0 run. 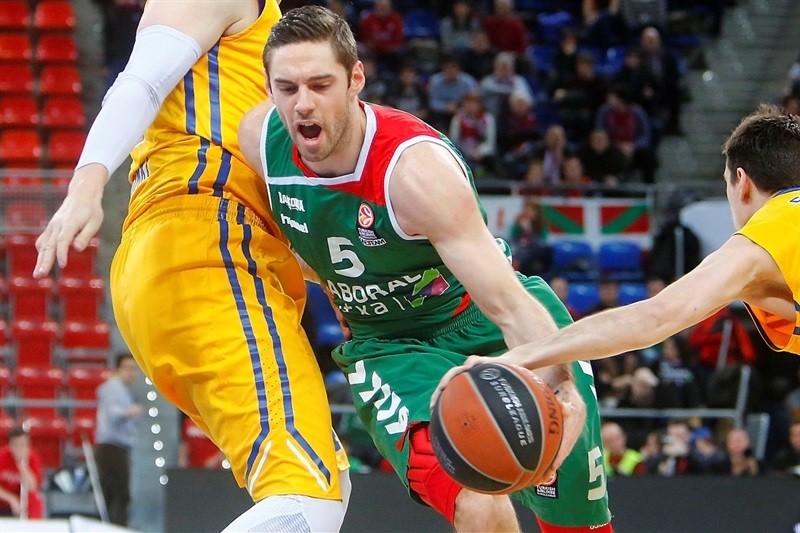 Davis tried to change things with free throws, but Causeur erased those with a backdoor layup and Hanga added a wild three-point play that gave Laboral a 6-point lead. Kim Tillie nailed a catch-and-shoot three-pointer, which Causeur followed with free throws to make it a double-digit game, 63-52. Rice drew a couple of fouls and hit all 4 free throws to give Khimki fresh air. 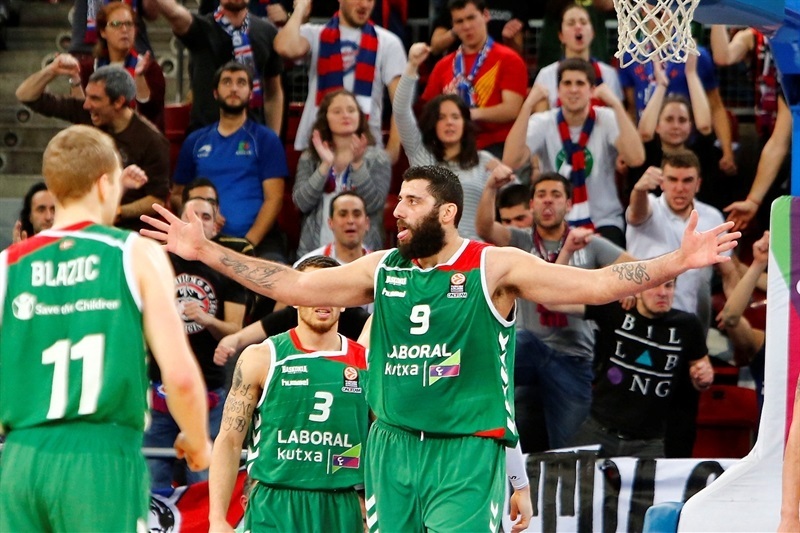 Bourousis scored around the basket and free throws by Causeur and Blazic set a 69-57 Laboral lead. 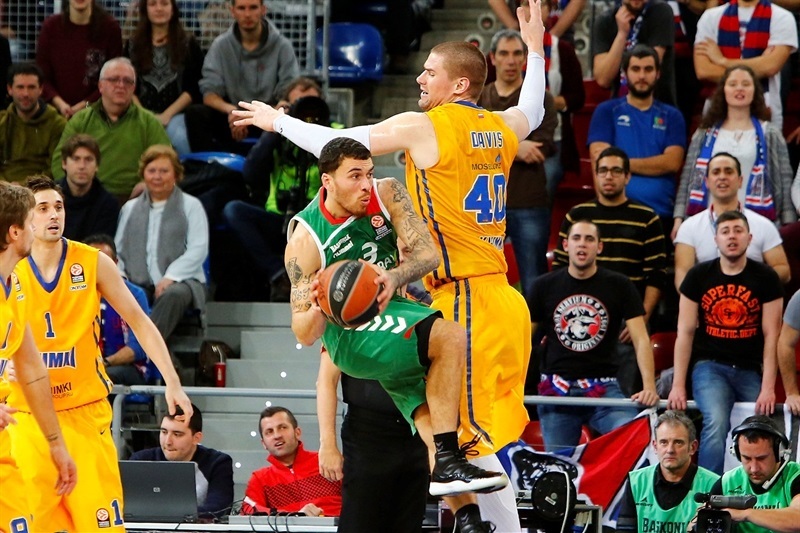 Koponen took over with a four-point play, but Mike James banked in an 11-meter, buzzer-beating shot on the third-quarter buzzer for a 72-61 Laboral lead. Davis and Bourousis exchanged baskets early in the quarter and a driving layup by James gave Laboral a 13-point lead. Koponen nailed another three-pointer, but free throws by Bertans kept the hosts way ahead at 78-66 with seven minutes left. Bourousis took over with a layup and Bertans turned defense into offense with a huge block on Koponen and a put-back slam at the other end that broke the game open at 82-66. Khimki tried to speed up the game tempo without much success and Bertans buried an outstanding step-back triple for an 85-66 lead. Shved followed free throws with a driving layup to make it 85-70. 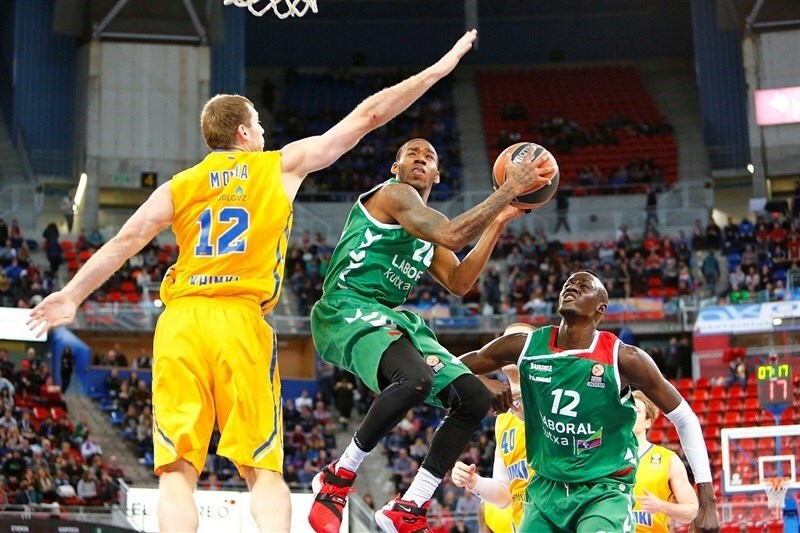 Both teams fought now for point difference, since Khimki had registered an 8-point home win in Top 16 Round 3. James took over with a dunk and Causeur hit a triple, but so did Shved and Vyaltsev. Vyaltsev insisted from downtown, but Adams and Tillie capped a near-perfect win. "I think that it was clear that we struggled for the first two quarters. We played an open game then and we didn't feel comfortable. Both teams scored a lot, were very accurate, and both defenses were less aggressive and intense than we usually like to play. In the third quarter the team was much better, we managed to allow just 15 points, and thanks to a 4-point play in the last seconds from a very talented team that possesses a great potential. That was very important. We played a great second half. Some players that were not so good in the first one reacted in the second and found the accuracy they missed before. " 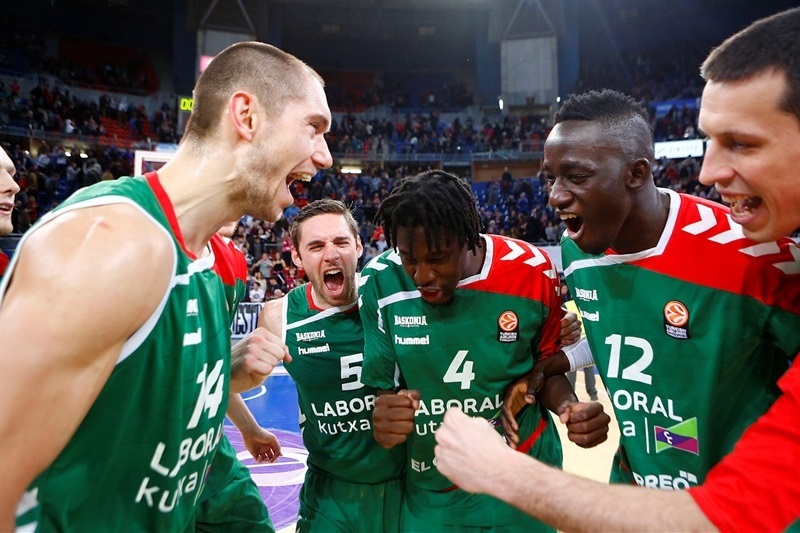 "First of all I want to congratulate Laboral Kutxa. They got a great victory. 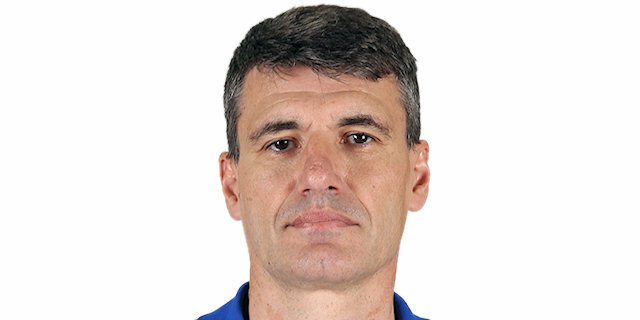 For sure Coach Perasovic did a great job. We managed to follow our game plan in the first half, doing the things we wanted to do, but we didn't have energy for 40 minutes. We lost control of the game and they made difficult shots in some moments. They proved they are a very strong team." "There is not much to say. I feel very happy; we managed to win a very difficult game against a very good team. That's the main point tonight. We played much better defense in the second half. We raised our intensity, defended harder, rebounded better and some other things we usually do and that tonight we missed in the beginning. When you face such a great team like this you have to put a lot of pressure on the ball. I want to play the [playoffs]. It's a dream for me." "It’s not the first time this has happened this season. Many times we came apart in the third quarter and it was that way again today. We were up by 5 and then we let the game go. We have to add another gear to our game, to fight for every ball, to stay in the game for longer. We allowed them to score 98 points, and it's very hard to win on the road that way. We had a lot of problems again in defense, teams scored a lot of points against us. We need to do a better job in the defensive end. It's true that we missed James Augustine because of the injury, James is playing very good this season and of course it's important for us, but the eight guys we played today must fight every minute. It all starts in the defensive end, we got a lot of talent and we know that we are always going to find points, but we have to do a better job on defense."